Natural Resources Wales (NRW) says construction of a scheme to improve flood protection for more than 400 properties in St Asaph will start in October. It involves removing Spring Gardens Bridge and replacing it with a higher and wider bridge. NRW says this will increase flow capacity downstream of the city, which will reduce flood water levels in St Asaph. The second phase of the scheme will see flood defences improved and enhanced in the city and at other locations. This is scheduled to start in January 2017. This scheme will make a real difference to people living and working in St Asaph who suffered such devastating flooding in November 2012 and have lived with the threat of flooding for many years. While we can’t always prevent flooding from happening, we believe we have a robust scheme for St Asaph that will significantly reduce the risk and provide effective, long-term, peace of mind for people in the city. It will also improve the environment and create new recreational opportunities in the city as well. The A487 has re-opened after earlier flooding between Dyfi Bridge and Machynlleth Railway Station. The A487 is closed because of flooding between Dyfi Bridge and Machynlleth Railway Station. The A5 is closed in both directions because of flooding between the B5605 and the A483 (Halton Roundabout). The First Minister of Wales has announced that £2.3 million will be spent supporting communities across Wales at risk of flooding. There are five flood warnings and nine flood alerts in force for coastal areas around Wales. They stretch from Gwynedd to Monmouthshire. A high spring tide is expected tonight. A spokesman for the Met Office says it has been the wettest winter on record across England and Wales - where the precipitation records date back to 1766. Some 435mm (17.1 inches) of rain fell from December 1 to February 24, beating the previous highest total of 423mm (16.6 inches) set in 1915. 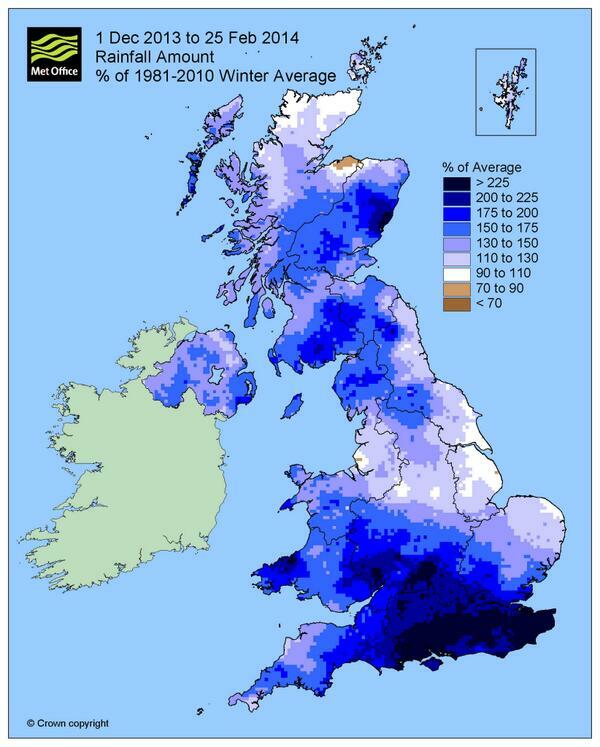 Provisional rainfall figures show that the UK as a whole has had its wettest winter since records began in 1910. Some 517.6mm (20.3 inches) of rain fell this winter, the previous highest total was 485.1mm (19.1 inches), set in 1995. England and Wales endured the wettest winter in almost 250 years, according to new analysis from the Met Office. Figures released last week showed the greatest overall rainfall across the UK since 1910, with 468.8mm of rain recorded. Denbighshire Council has called for the Welsh Government to provide grants to houses damaged by recent flooding. "The time is now for the Welsh Government to provide direct financial assistance to households affected by the winter flooding, in the same way that UK Government is providing £5,000 per household in England" said Councillor David Smith. Cllr Smith said the repair cost for coastal defences in Denbighshire is approximately £1.8m. "The Welsh Government has already pledged around £4.6M for those repairs - but nothing yet directly for households affected". The Prime Minister has visited a flood-hit part of Wales, but refused to say whether homes and businesses here will be exempt from council tax, as he plans in England. The Westminster Government has set aside £4m to finance the support in England, but insists that flood support here is devolved to the Welsh Government.